Accuweigh is selling hay bale packaging systems at all their branches in the mainland states. Designed for packaging hay, straw and other fodder products cost-effectively, Accuweigh’s ESSE GI hay bale packaging systems are ideally suited for packing bulky products for storage or shipping. 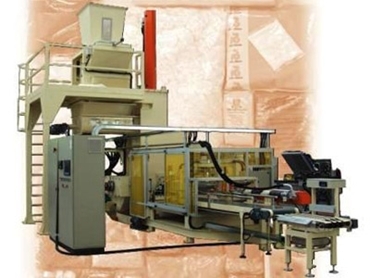 Designed as a large horizontal version of a typical Form, Fill & Seal machine for filling product into formed bags, Accuweigh’s hay bale packaging system compresses the product to one quarter its original size using hydraulic cylinders, and then tightly wraps the product to preserve its shape and dimensions, offering significant savings in packing and transportation costs of these often bulky materials. Supplied with a weighing conveyor feed or a belt type volumetric filling system, the baling machines operate at speeds up to 7 bags per minute with bale weights between 15kg and 25kg or up to 600 litres volume. Accuweigh is the exclusive Australian distributor for the Italian manufactured hay bale packaging system. Accuweigh operates branches in all mainland states providing complete after sales service and support on all VFFS and HFFS machines, packaging equipment and weighing equipment.